“Time has become the most precious commodity in our lives”, a Googler told the audience of journalists at this morning’s Search Event in San Francisco before unveiling exciting Google Instant enhancements. First up, Google Instant technology now works with images, available at images.google.com. Just like on the main search page, Instant Images search auto-populates your search results with relevant images on each keystroke of your query. But what has really gotten us excited is a brand new feature called Instant Pages. It is doing that while you’re combing through your search results and only when your actions on the search page can be predicted with high enough degree of confidence. 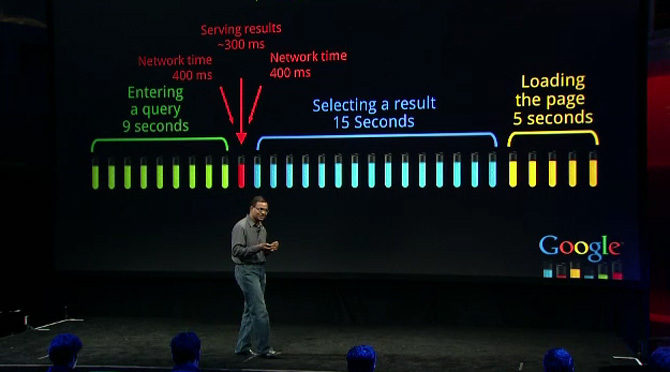 Otherwise, Google would be wasting a lot of bandwidth unnecessary. What else is cool about Instant Pages? Well, regular Google Instant searching saves you two to five seconds, the search firm’s engineers told us repeatedly during the event. 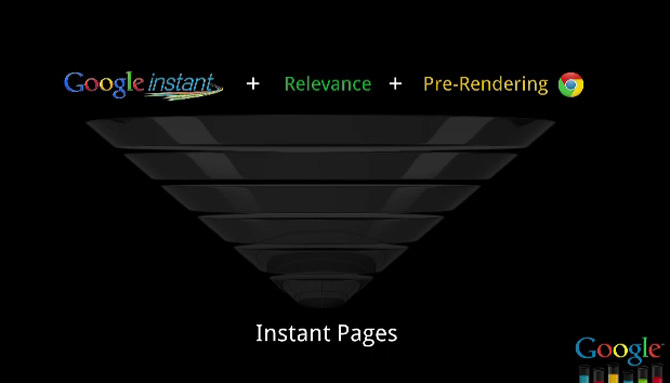 With Instant Pages, you save additional two to five seconds whenever you click a page in your search results. Google Instant Pages is going to be available this week, on desktop, in the beta version of the Chrome browser. If you want, you can try the feature today by switching to the Chrome developer channel. Additionally, Instant Pages is coming to mobile. They are expecting other browser vendors to implement this open-sourced technology in their browsers. Plus, Instant Pages are coming to Android powered devices via the virtue of future software updates. Hungry for more? Hit the official Google blog.